Even aside from all the holiday bustle, there lots to do throughout December! 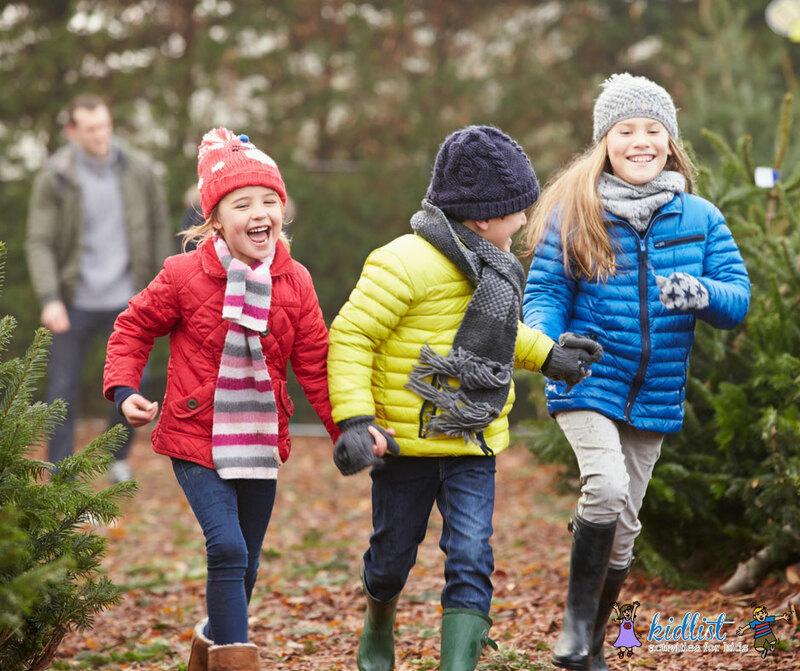 Close out 2018 strong with some fun family time, or find activities to keep everyone happy all winter break long. If you just need a break from all the Santa sightings, this is your list! This list focuses on the non-holiday events going on in December; check out the Holiday Fun Guide for all the holiday goings-on! Rent a Park District tube ($5-$7/day) for slippery 800-foot rides down down the Mount Hoy. Come into the tropical environment of the conservatory for activities that keep kids in touch with nature. Come volunteer outdoors and help with clearing, planting, maintaining trails, and more. Watch Nick the painting horse paint, check out the barn, go on a hayride, see the horses, and more. Free, no registration required. Indoor rock climbing for tots, as well as other activities around the wall. Parents can climb, too! $5. Play on the inflatables and soccer field at this benefit for the Day Camp’s Feed My Starving Children trip. $5 (cash only). Looking for an easy, family-friendly event to celebrate the holiday season? 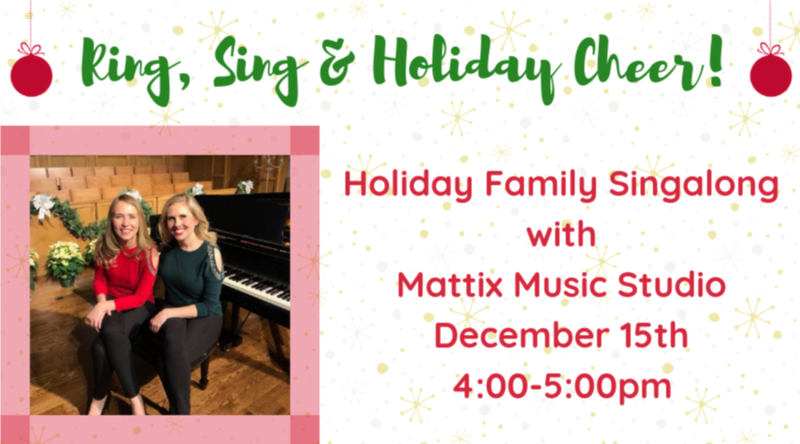 Join the faculty and students at Mattix Music Studio for beautiful performances on piano and violin that will inspire you. Sing along to the holiday songs you know and love like Frosty the Snowman and Jingle Bells, and get carried away with holiday spirit. Perfect for all ages of music lovers. This free event is open admission. Invite all your friends and family to come along! Come meet Jacob Grant, illustrator of Owls Are Good at Keeping Secrets, at Anderson’s Bookshop in La Grange for storytime. Meet Curious George in the Downers Grove Library’s Kids Room for a story, photo op, and fun. Come sing and dance along at a concert right inside Whole Foods. Young kids can come enjoy a story and a hands-on activity at this free event. Come catch a movie at the Indian Prairie Public Library. Roll out dough and use Harry Potter house cookie cutters, then decorate the baked cookies. Ages 8-13. $30; includes cookie cutter set. Register in advance. Drop-in engineering-themed family activity with LEGOs at The McCormick Museum. Free (but parking fee still applies). This library event for families with kids grades 1-6 includes snacks and games like Wii Mario Kart, Playstation games, and board games. No registration required. Pro tip: Bookmark the Kidlist events calendar now so you’ll always know about family-friendly events going on nearby! You can also check out non-holiday December events in the southwest suburbs for more ideas. Be the first to comment on "Top 15 (Santa-Free!) Things to Do With Kids in December 2018"